Get ready for an experience of a lifetime as you set foot to try your luck at the top casinos in Goa. One of the very few states where gambling is a legitimate affair, Goa attracts thousands of travelers to be a part of its nightlife. Vibrant and high on the nerve as they are, the casinos in Goa are run by well-established proprietors. 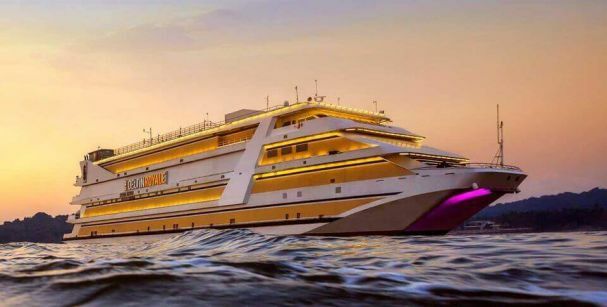 While the floating casinos operate on the Mandovi River, the land-based casinos are found outside the mainland Goa. When you book your trip to Goa packages, take a package that includes this fun bit, as the casinos give you a real taste of the nightlife of Goa. The Deltin Group and the Pride group are two dominating groups that operate the offshore casino market. These casinos are the ultimate entertainment destinations that offer you a chance to go home rich. The casinos operated by Deltin group emphasize more on a niche segment of the visitors in the form of a higher entry fee. Not only that, the group also has a VIP guest suite facility, wherein the guests can play as well stay. One of the famous casinos under the Deltin group is the Deltin royal casino Goa, which include unlimited food and drinks. The casino has a beautiful ambience, with performances by bands, dancers, stand up comedians and more. Not only that, the casino also offers special packages for women and children. The Pride Group caters largely to the masses and gives the people a glimpse of the vibrant nightlife that Goa boasts about. The entry fee of these casinos is cheaper, with a lot of gaming activities to choose from. You can visit the Casino Pride that offers a myriad of entertainment and gaming options that you can play and experience. The casino is easy on the pocket and hosts various games Roulette, Black Jack, Rummy, Casino War to name a few. The Maharaja Casino by Big Daddy is one of the best casino in Goa, offering you lots of activities to enjoy, which also do not burn a hole in your pocket. In addition to the gaming tables that attract a majority of the attention, there is a restaurant, where you can dig into some delicious food. The casino also hosts various live entertainment events and has a kid’s corner as well. If you are looking for onshore casinos, you can pay a visit to the Casino strike, the largest onshore casino in India. With live dealers, actual playing cards, and gaming machines, the casino offers games that aren’t available in the others in Goa. Talk about the level of entertainment, and the Russian dancers steal the show. If you are a fan of gaming, then you can also visit the Chances casino and resort, the cheapest casino in Goa. The entry fee here quite nominal, and you can enjoy unlimited food and drinks as you make your way to those gaming tables. Book the best holiday packages for Goa now! With so many options to pick from, Goa is one destination that has something for everyone. So if you are looking for an opportunity to put your lucky stars to test, get ready for an experience of a lifetime.